Marc M. Tract concentrates his practice in the areas of corporate and regulatory matters for the insurance and reinsurance industries, as well as the organization and licensing of health maintenance organizations. 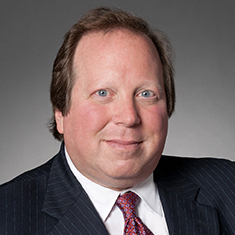 In this role, Marc advises and counsels domestic and international insurers, reinsurers, agents, brokers, third-party administrators, private equity funds and hedge funds on public offerings, private placements, domestications, mergers, redomestications, demutualizations, corporate governance and regulatory issues, mergers, acquisitions and divestitures. He is a member of the boards of directors of several national and international insurance companies. Marc is experienced with state laws that impact insurance companies and businesses that do business with insurance companies. He regularly advises clients on regulatory matters, including investment limitations, holding company compliance, licensing and the organization of subsidiaries and US branches. Marc also advises companies and educational institutions on self-funding and captive insurance alternatives. Marc counsels international insurance companies on American laws that govern their operations. He assists these companies with policy wordings, corporate finance transactions, reinsurance contracts, cut-through endorsements, prepared rate and form filings and distressed asset situations. He was responsible for the first listing of a foreign insurance company on the New York Stock Exchange. In addition, Marc handles a variety of private client matters, including the separation of business interests and multi-generation planning. He assists family-owned mid-cap and large insurance companies in succession planning. Marc lectures and writes extensively on insurance law and regulation and the responsibilities of directors of insurers.